Here is Cheryl, a tightly-wound, vulnerable woman who lives alone, with a perpetual lump in her throat. She is haunted by a baby boy she met when she was six, who sometimes recurs as other people's babies. Cheryl is also obsessed with Phillip, a philandering board member at the women's self-defense nonprofit where she works. She believes they've been making love for many lifetimes, though they have yet to consummate in this one. A real Surprise for me! I am a huge Audio book fan. My favorite kinds are horror, thrillers, and I'm a sucker for "Best Sellers". This was very mistakenly classified under Horror and I am confused as to why I even chose it. But, I am really happy I did. 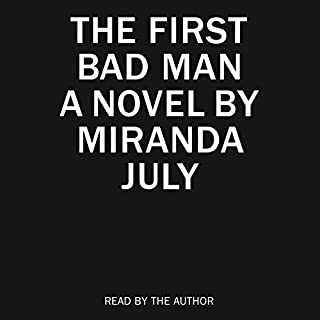 I also usually stay away from authors reading their own books because I've been disappointed SOO many times but Miranda did an amazing job. 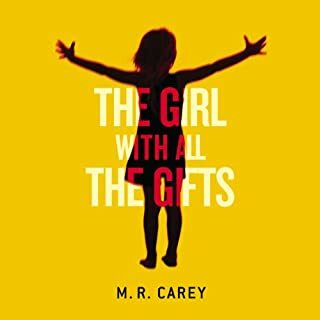 In a way this is the most bizarre book I've read, but in a true to life way....not the way horror books are unreal in a sense. I laughed and made funny faces throughout the book, but I truely enjoyed this book! Melanie is a very special girl. Dr Caldwell calls her "our little genius". Every morning, Melanie waits in her cell to be collected for class. When they come for her, Sergeant keeps his gun pointing at her while two of his people strap her into the wheelchair. She thinks they don't like her. She jokes that she won't bite, but they don't laugh. Melanie loves school. She loves learning about spelling and sums and the world outside the classroom and the children's cells. She tells her favorite teacher all the things she'll do when she grows up. Melanie doesn't know why this makes Miss Justineau look sad. Hours in, restarted so husband could listen too!